MOSCOW Russian President Vladimir Putin on Wednesday called U.S. Secretary of State John Kerry a liar, claiming he had denied that al Qaeda was fighting with the Syrian opposition in that country's civil war. Speaking to his human rights council, Putin recalled watching a congressional debate where Kerry was asked about al Qaeda. Putin said he had denied that it was operating in Syria, even though he was aware of the al Qaeda-linked Jabhat al-Nusra group. 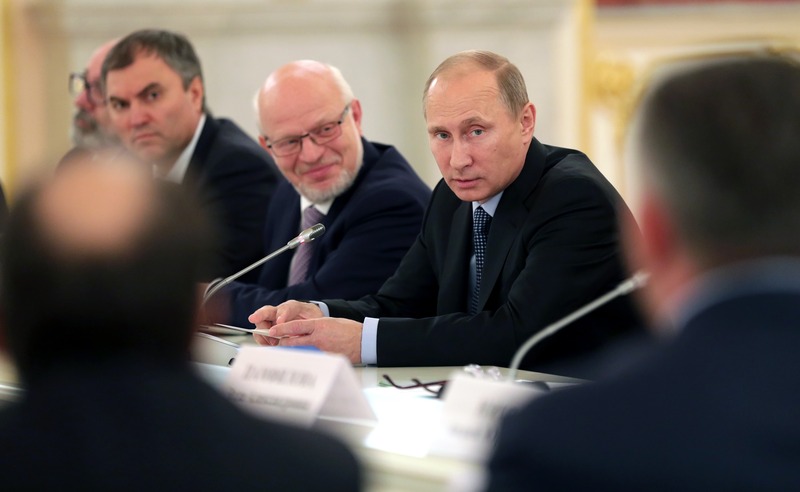 Putin said: "This was very unpleasant and surprising for me. We talk to them (the Americans) and we assume they are decent people, but he is lying and he knows that he is lying. This is sad." It was unclear exactly what Putin was referencing, but Kerry was asked Tuesday while testifying before the Senate Foreign Relations Committee if the Syrian opposition had become more infiltrated by al Qaeda. Kerry responded that that was "basically incorrect" and that the opposition has "increasingly become more defined by its moderation." When asked if a strike would make al-Nusra and other extremist forces stronger, Kerry responded, "No, I don't believe you do (make them stronger). As a matter of fact, I think you actually make the opposition stronger. And the opposition is getting stronger by the day now." In testimony Wednesday, Kerry said that he didn't agree that "a majority (of the opposition) are al- Qaida and the bad guys." Extremists amount to 15 to 25 percent of the opposition, he said, including al-Nusra and many other groups that are "fighting each other, even now." Putin also repeated Russia's position that any use of military force against Syria without the approval of the U.N. Security Council would be an act of aggression.